I was glad that I became bright by exchanging the light bulb. It was OK at a satisfying price. This review is about item#40519954. Monotaro is handled a lot of goods and delivery is also fast, so you can use it like a neighborhood home center. It was a hard-to-find product. I am satisfied with affordable price. Although few shops are selling recently, shipping will be saved soon for monotaro. I compared it with various companies, but I am satisfied with this price. I opened the thing that I bought and reached and it was smaller than I thought. Brightness is sufficient unless precision work is done. I replaced it with an arm light light bulb, 60 W but a slightly dark impression, I thought that the lighting range was ok. 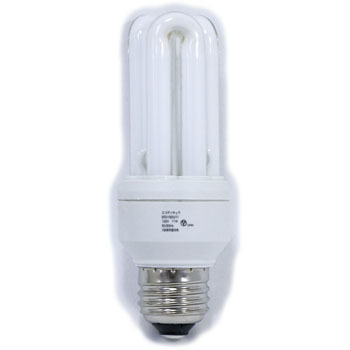 The product itself is compact and easy to handle, it seems that the reaction of the fluorescent lamp is also fast. I think that there is no problem if it is a thing with a little W number, but because it depends on the purpose of use, I think that it is a product without problem for normal use. I used it as lighting of the office entrance. I was attached to a human sensor device, but it was short in 3 months. Because the manufacturer was Ohm Electric, I bought it reliably but cheap goods may be problematic after all. It is even better if there is 80 W or 100 W type.